March 9, 2016 - The U.S. Department of Transportation’s Federal Aviation Administration (FAA) today proposed a rule that overhauls the airworthiness standards for small general aviation airplanes. The FAA’s proposal, which is based on industry recommendations, would reduce the time it takes to get safety enhancing technologies for small airplanes into the marketplace while also reducing cost. “This proposal would improve safety, reduce costs, and leverage innovation to ensure the highest level of safety is designed and built into small airplanes,” said U.S. Transportation Secretary Anthony Foxx. “General aviation is vital to the U.S. economy, and this proposal would benefit manufacturers, pilots, and the general aviation community as a whole.” The Notice of Proposed Rulemaking restructures the existing certification standards and replaces the current prescriptive design requirements in Part 23 with performance based standards that maintain the same level of safety. It would add new certification standards to address general aviation loss of control accidents and in-flight icing conditions. The proposal establishes performance- and risk-based divisions for airplanes with a maximum seating capacity of 19 passengers or less and a maximum takeoff weight of 19,000 pounds or less. The proposal responds to the FAA Modernization and Reform Act of 2012 and the Small Airplane Revitalization Act of 2013, which directed the FAA to streamline the approval of safety advancements for small general aviation aircraft. It also addresses recommendations from the FAA’s 2013 Part 23 Reorganization Aviation Rulemaking Advisory Committee. 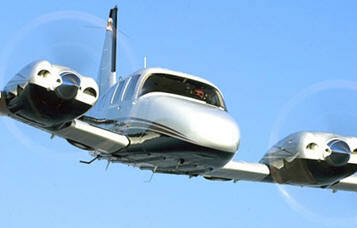 The FAA estimates that the overall economic impact would be cost beneficial. This proposal would affect airplane manufacturers, engine manufacturers, and operators of affected equipment.